Spawned from the growing awareness and anger regarding the misuse of governmental power by big banks and multinational corporations rooted in the 2007-2008 Financial Crisis, activists took to the streets of Manhattan's financial district on September 17th of 2011 to protest, eventually ending up in Zuccotti Park. This was the birthplace of what became the protest movement known as Occupy Wall Street which received global attention morphing into a larger socio-political movement spawning similar protests in over 951 cities in 82 countries in less than a month. 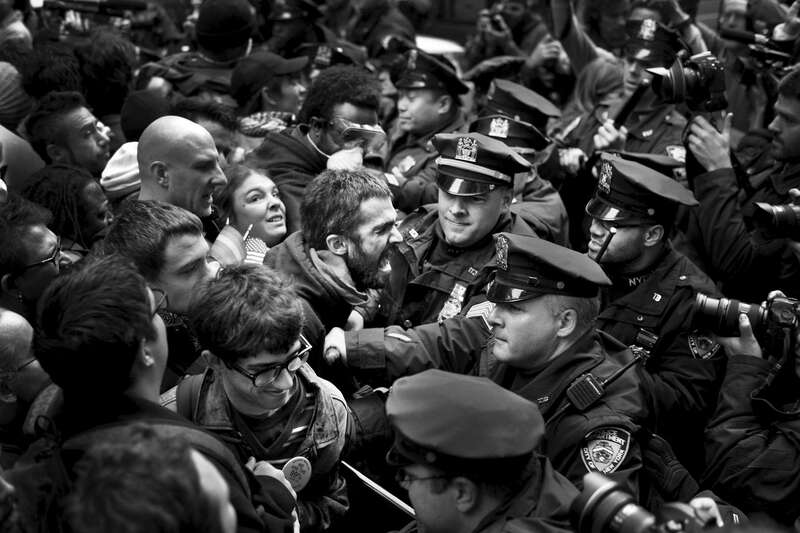 These are photographs I made primarily in Manhattan from October of 2011-September of 2012 showing what existed as Occupy Wall Street.